That line’s been on my mind for a while. Pertinent to the Wardens books. I’ve got beta copies out with several readers and so far am hearing good things. Hoping to be ready to do a final clean-up and shop it around late this year or early 2016. Mad Max: Fury Road was great. I was smiling the whole time when I wasn’t wincing or cackling. It’s fun, it’s exciting. It drops you face-first into a fully developed, vast, terrible world and doesn’t stop till the credits roll. More importantly, though, Fury Road takes us away from the remakes and reboots. It’s a continuation, yes, a sequel, but everything about it was fresh and artistic and daring. That’s why you’ve gotta go. Support something new. Support something daring. If you’ve lamented the state of movies and Hollywood in the last decade, this is how you make yourself heard. I’ll be buying at least one more ticket for myself. It’s that great. Go. Witness. Recently I had the chance to chat about writing, Ours Is the Storm, beliefs, fun, and projects with the Mindful Warrior. Check out his site for meditations, mindfullness, and freely given secrets. This is a beautiful book, beautifully written. A lot’s been said already by other reviewers, so I won’t go into that. This isn’t what you expect, if you’re unfamiliar with Le Guin and with a more thoughful style and speed of scifi. It’s extraordinarily political, heartbreaking, hopeful, and very, very human. I look forward to reading it again someday. Terry Pratchett said, “We are trying to unravel the Mighty Infinite using a language which was designed to tell one another where the fresh fruit was.” If anyone got close, it was Sir Terry himself. If you’ve never read any Discworld, you’re doing yourself a disservice. It’s satire of the highest order, and it’s wiser and funnier and just better than almost everything. Never before has the death of a famous stranger saddened me as today’s news did. However, we must remember that a person isn’t gone till the ripples they’ve made have ceased, and I expect Terry Pratchett’s to travel and rebound and surge for quite some time. 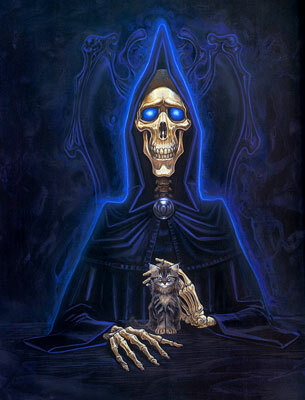 Pratchett wrote about Death (not death, but Death, the anthropomorphic personification) often. I can think of nothing more comforting than to imagine Death, finally getting to meet the person who got him so right. “What can the harvest hope for, if not for the care of the Reaper Man?” It’s true, as was everything he wrote. I can’t believe I waited so long to watch this. A spectacular, odd, and puzzling film which I’ll be thinking about and certainly revisiting for another viewing. A Jim Jarmusch (Ghost Dog: Way of the Samurai; Only Lovers Left Alive) western emanating style and complexity, Dead Man is one of those flicks that I’d only really heard of on my Netflix instant queue. I gave it a closer look and, aside from pre-Pirates Johnny Depp, found – Jim Jarmusch! A score by Neil Young? Billy Bob Thornton! John Hurt! Alfred Molina! Robert Mitchum! Iggy Pop?! There are even more really fantastic and surprising actors in this, too many to list, but needless to say I jumped right in, brushing off my chagrin at having left the movie to languish on my queue for so long. Accountant William (Bill) Blake (no relation to the artist and poet) heads to Machine somewhere in the West to start a new job, only to discover the job’s taken. He finds himself at the end of the line, with no money and no prospects. A simple gesture of kindness to Thel, a beautiful woman who makes paper roses, leads to a series of unhappy events and choices which take William Blake further and further from what he knows. Aided and guided by Nobody, scholar, mystic, and outcast of the local Native American tribe(s), Blake is on a journey through the mirror, unaware he’s already a Dead Man. Dead Man is filmed in black and white, lending it a style more reminiscent of 40s Westerns than the Leone/Eastwood era. Further setting it apart is the dreamy, kind of trippy vibe, established immediately and reinforced with strange occurrences and poignant, quiet moments that would have been cut from a bigger studio film. Be warned, if you’re looking for fast-paced action, this ain’t it. That’s not to say there aren’t a few boxes of ammo fired, badass lines, or unusual characters–just don’t expect constant shootouts and bar fights. The depiction of the Native Americans throughout the movie is especially well done and (reportedly) quite accurate. Neil Young’s haunting, stark, and largely-improvised score is perfectly matched to the film. As mentioned, there are too many great performances to list, but Hurt and Molina stand out, and it was nice to see Johnny Depp act a role a little more nuanced and meaningful than some recent ones (*cough drunk pirate cough*). Gary Farmer, whom I’ve only seen in Jarmusch movies but (according to IMDB) is in literally everything, is just fantastic as Nobody. Jarmusch has a talent for a kind of quiet, heartbreaking combination of violence, peace, hope, and tragedy it’s tough to put words to. Watching Blake’s journey tuned a random evening’s Netflix selection into the discovery of one of my new favorite movies, and provided food for thought for a long time to come. The moment it was over, I was ready to watch it again. Highly recommended. This way of understanding extends to many things.